They are a race that believes in capitalism over anything else. But does that mean they are only self serving? Does selfishness make for better business or is it wiser to meet the needs of your customer better with a better product? If you corner a market, is it then easier to offer bad products at higher prices? 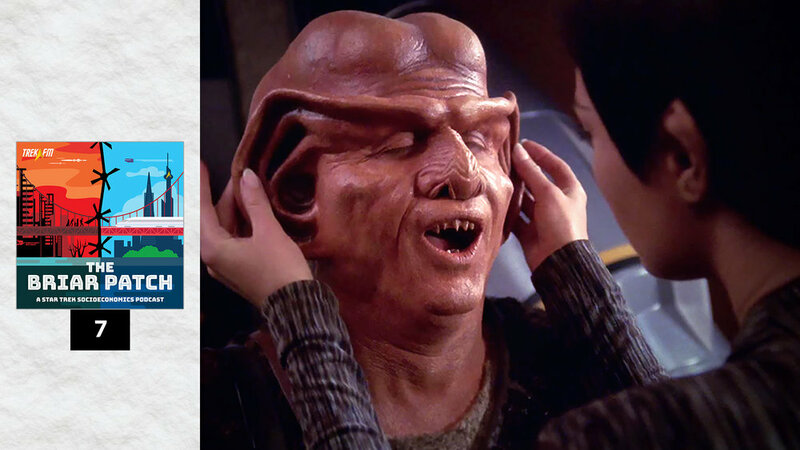 In this episode of The Briar Patch, hosts Patrick Devlin and Guinevere Liberty Nell discuss the Ferengi and why—despite knowing that they are swindlers—people continue to do business with them.